This cycling holiday visits the quiet parts of West Cheshire and North Shropshire and slips into Wales for a night in the lovely town of Llangollen. 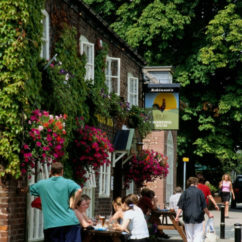 Starting near Tarporley, spend the first day exploring Delamere Forest or Little Budworth Common and then head south to the Tudor market town of Nantwich with its many black and white buildings, antique and independent shops and museum. 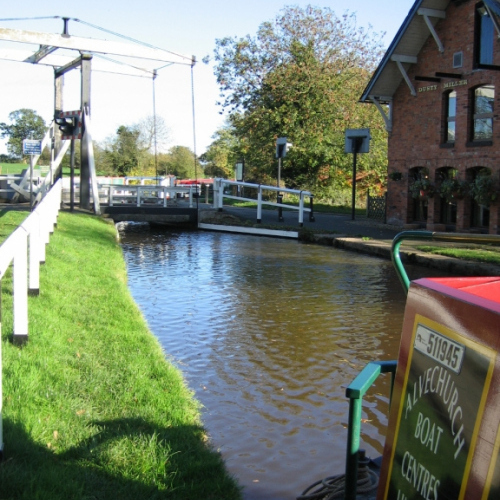 From here criss-cross the canals, going through Audlem with its long set of locks and Wrenbury – both villages have lovely pubs overlooking the canal so you can watch the boats. From here pass Cholmondeley Castle Gardens with a lunch stop in Malpas before heading to Shropshire lakes. 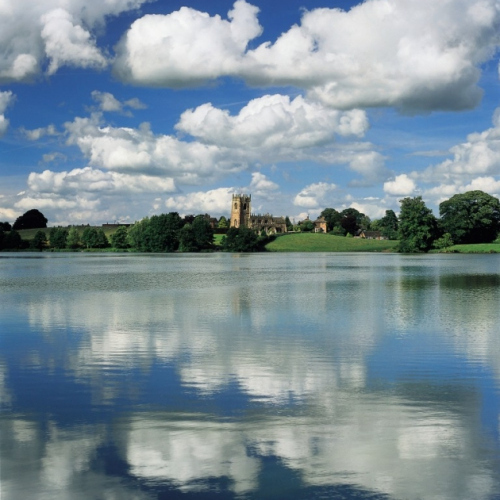 Spend two nights in Wem or Ellesmere exploring some of the many small glacial lakes in the area. 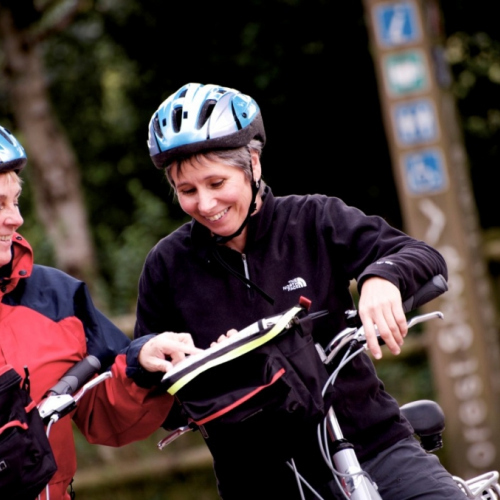 Choose a circular ride, or have a rest from the saddle – Shrewsbury is just a short bus ride. From here an overnight in Wales in the lovely town of Llangollen and then head back to Tarporley through Farndon on the River Dee. 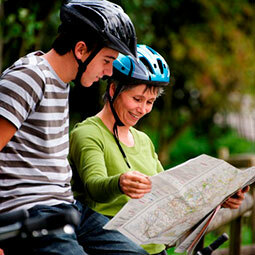 Cycling distances – A flexible cycling holiday. 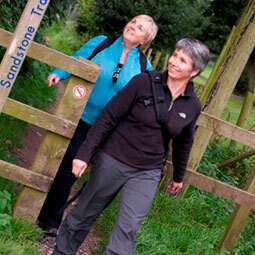 Moderate routes 20 – 25 miles a day (option some days for longer routes) or gentle route round 15 miles each day. We can also offer a combination with gentle routes on some days and moderate on others and strenuous options for some days. Day 1 – Arrive at Little Budworth, near Tarporley lunchtime/early afternoon. We meet you when you arrive – deliver bikes and adjust them to make sure they are comfortable. Choice of circular bike rides to Delamere Forest (cycling distance, 20 – 24 miles) or to Tarporley, Little Budworth Country Park and the Shire Horse Centre (Cycling distance about10 miles). Day 2 – Cycle from Little Budworth into Tarporley then past Beeston Castle and along quiet lanes to Nantwich with its pretty streets, antique shops and small museum. Spend time exploring the town and stay at the Crown Hotel in Nantwich for the night. About 24 miles. Day 3 – Cycle from Nantwich through the pretty village of Wynbunbury. From here pass Dagfields antique and craft centre, on to canalside village of Audlem and watch the canal boats going through one of the longest sets of locks. 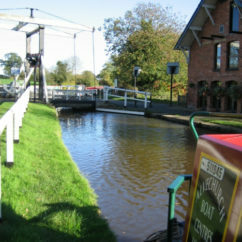 Continue on through Wrenbury and Marbury to Cholmondeley. Visit Cholmondeley Castle Gardens (only open Wed, Thurs, Sun and bank holidays). Accommodation either Cholmondeley Arms. 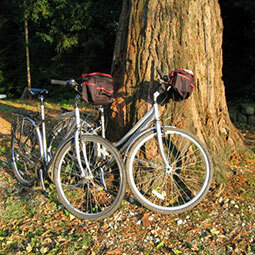 Cycling distance 20 – 25 miles. Day 2 – Cycle from Little Budworth into the pretty Georgian village of Tarporley past Beeston Castle and then along quiet lanes to Nantwich with its pretty streets, antique shops and small museum. About 17 miles. Day 3 – From Nantwich short section out of town on the main road, then lanes. Cycle to Hack Green Secret Nuclear Bunker – (now a fascinating museum) and on to Wrenbury on the Shropshire Union Canal. From here its a gentle ride to Cholmondeley. 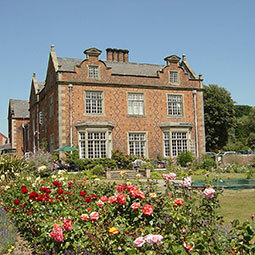 Visit Cholmondeley Castle Gardens (open Wed, Thurs, Sun and bank holidays) Accommodation, Cholmondeley Arms.14 – 15 miles. Good waulity B & B and village pubs, small hotels. On 3 nights there is an option for Country House Hotel. Please contact us for details.